What happened; Jack’s Nadi had to fight until the final minute to keep their chances alive after scoring 1-1 against All Freight Logistics Suva at the ANZ Stadium last night. Youths from Raiwaqa dress for Easter crucifixion drama at St. Pius X Parish Raiwaqa on April 19, 2019. Photo: Ronald Kumar. Suva was on fire in the first 20 minutes as they worked their way up to the Nadi territory leaving it to former Nadi finisher Napolioni Qasevakatini to score in the 20th minute. Suva continued to dominate and led 1-0 at halftime. 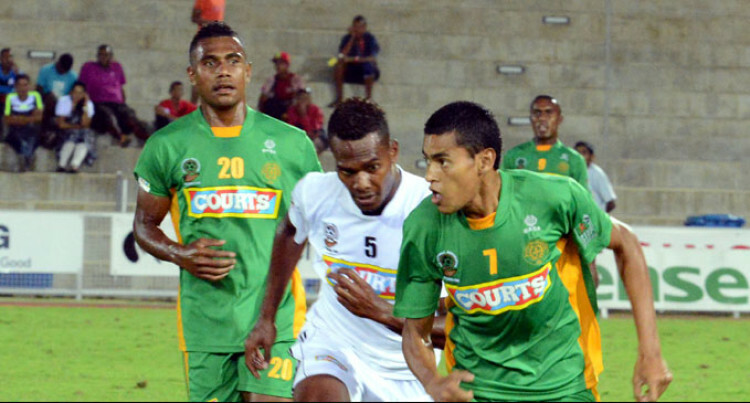 Nadi had the likes of former Suva striker Samuela Drudru who failed to click as they were deprived of possession. Suva played a defensive game in the second half. The jetsetters did not give up but lifted their intensity which resulted in Samuela Drudru scoring in the 90th minute. Big Play: Suva played well in defence and enjoyed most of the possession in the first half which saw them taking an early lead. Star Turn: Samuela Drudru scoring the equaliser and proved he is game breaker. Comments: Jack’s Nadi head coach Kamal Swamy applauded his players. “The boys did not give up and did not lose hope. At halftime I told the boys to improve their defensive game. “Nadi plays Labasa today in a must win situation. Suva head coach Gurjit Singh was happy with the result. “A draw is not bad for us, good result as we played a good game against Nadi,” Singh said.